The former University Student Union Building is being renovated and expanded to evolve into a new Student Center. 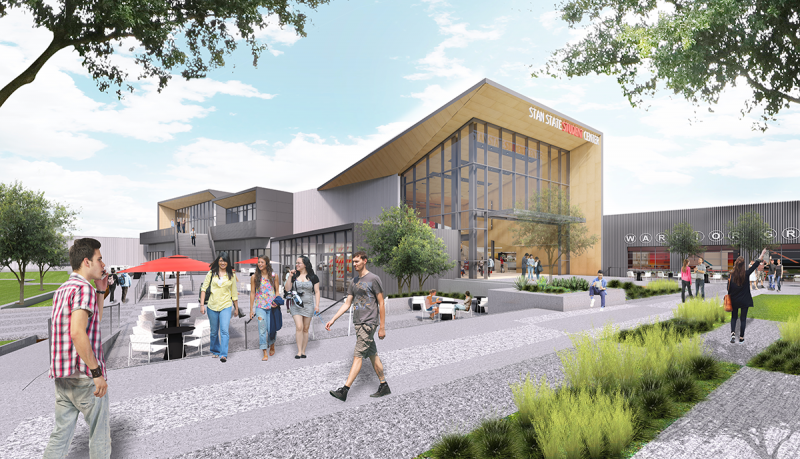 The proposed facility will be a 152,432 square foot, 2-story building in the heart of campus, providing a place for students to collaborate, create, and relax. For more information about the project, please go to the ASI/USU webpage.